Opportunity to own a cabin at over 7,000 elevation with year round access. 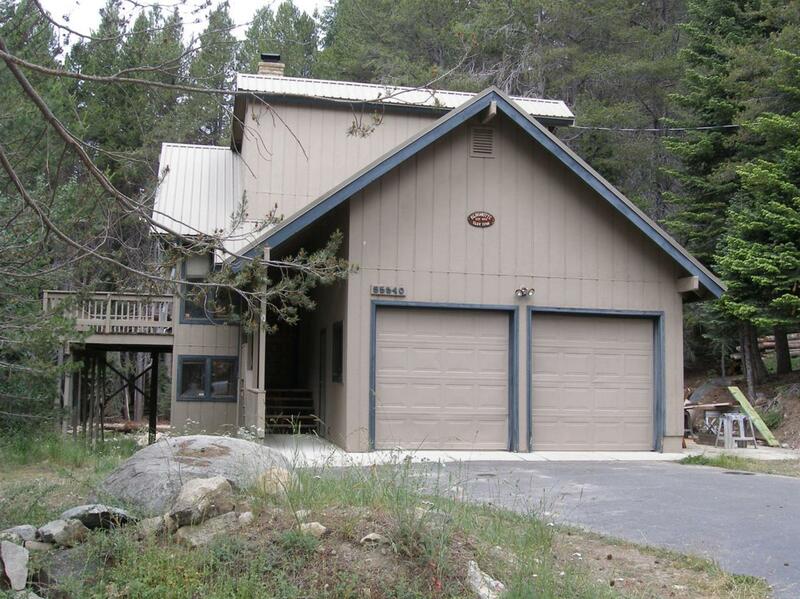 Tamarack Estates just minutes to China Peak and Huntington Lake is the location of this cabin. Nice upper floor living area that is open and ready for entertainment with wet bar and pool table. Kitchen has breakfast bar, wood cabinets and tile counter tops. Separate dinning room area also makes it roomy when having guest. Three large bedrooms in lower area one with direct vent gas heater that keeps the area warm. Large deck off living room is where you will spend your summer time and maybe a BBQ. Large garage, level access with plenty of room to store a boat or snow mobile for winter fun. That's right winter fun. Tamarack has access to groomed snow mobile trails that the U S Forestry maintains. This cabin is also located on the outside of the loop that gives you much more privacy in your back yard. This is truly a year round enjoyment cabin that is ready for a new owner to put there own touch on it.